To suggest a new trip, select the Suggest a Destination button at the top of the Travel page, as shown below. Stitch will prompt you for details about the trip you would like to suggest. 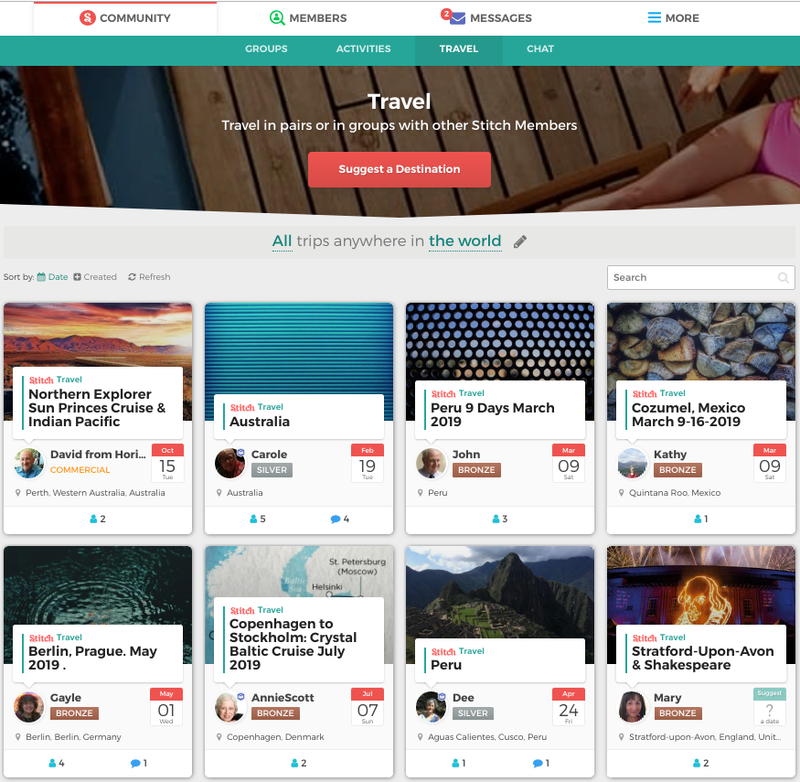 By default the Travel page shows you a list of all destinations which have been posted by other members. 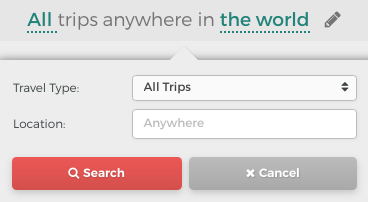 You can change the trips you see by changing the search settings at the top of the page. 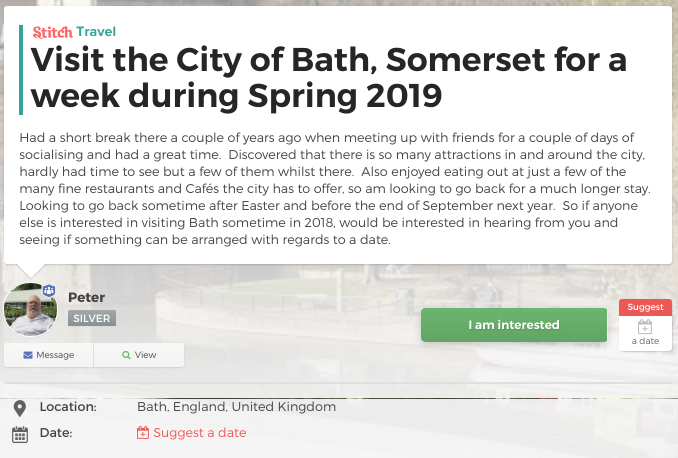 This lets you specify a search term that appears in the title or description of the trip, to help you find trips you might be particularly interested in. For example, write "Italy" in the search bar if you would like to view only trips to this country. 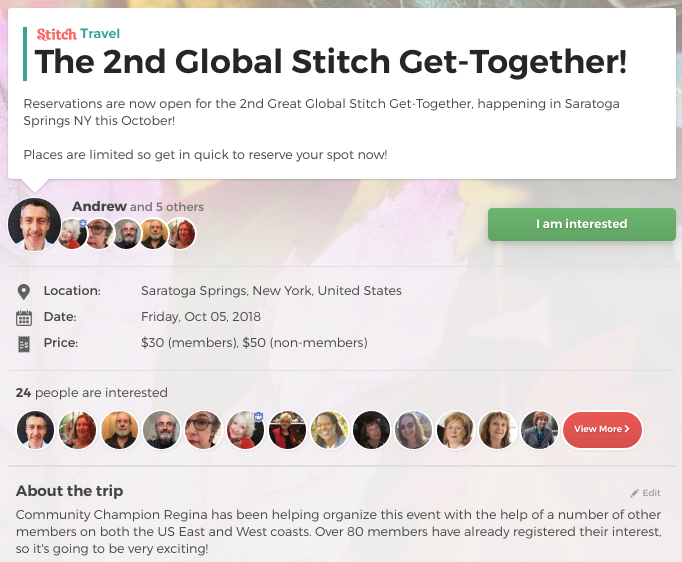 If you'd like to attend a Stitch Trip, simply click the I am interested button at the top of the page. This will register you for the trip, as well as giving you the option to subscribe to any comments other members make on the trip. It is usually a good idea to make a comment on the event at this point, to let the organizer know you are coming along, ask questions, and get to know the other attendees. 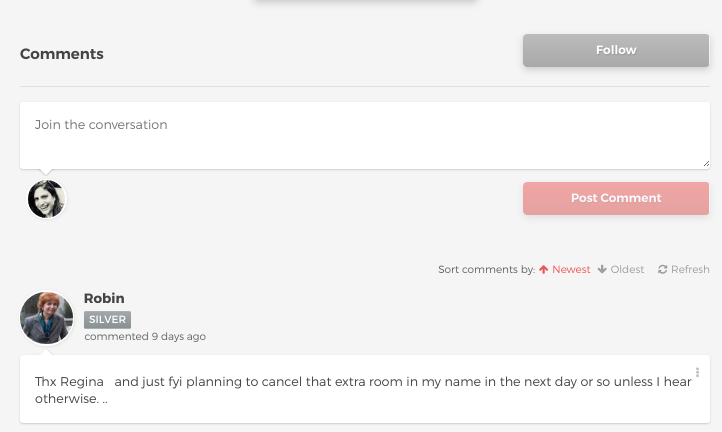 To make a comment, just enter your comment and click the Post Comment button at the top of the conversation as shown below. Unlike an Stitch Trip, a Suggestion isn't an organized group trip, but just a way for you to connect with another member about a trip you would both like to do. If you see a suggestion you like, simply click the green I am interested button at the top of the page. You can also send a message to the member who suggested the trip. Simply click the Message button beneath the organizer's image. With luck, you'll have a new travel companion in no time at all!